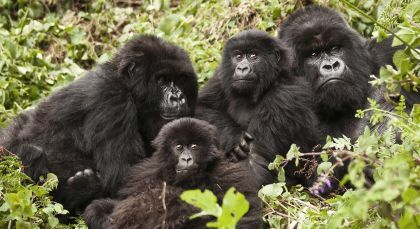 Follow in the footsteps of Dian Fossey. This short trip takes you deep into the heart of gorilla territory – Volcanos National Park, where half the world’s gorilla population lives! 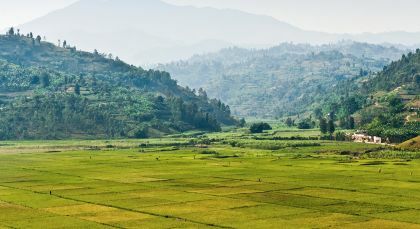 With trekking activities, forest walks and plantation visits on offer, there are few better ways to discover the Rwandan wild. Nyungwe Forest National Park is an enormous high-altitude, mountainous tropical rainforest with a canopy that extends across the majestic hills of southeast Rwanda. Nyungwe Forest is a vast stretch of massive trees, trailing creepers, orchids, and the resultant diversity of life that is breathtaking in its vividness. 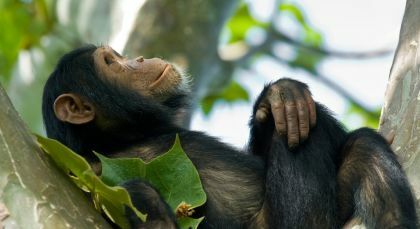 Take a stroll down the guided paths through dense vegetation to sight the different species of primates swing from one tree to another. Try to catch butterflies, or spot the numerous birds whose calls are clear in the silence but shapes lost in the foliage. A canopy walk suspended over ancient trees is incredible for the experience itself, as well as the view that it offers – pure oxygen for your senses. There are a number of tea plantations surrounding the Nyngwe House that add to the mesmeric beauty of the place. Explore these plantations with guides who know the terrain well and share interesting tidbits of information. Accommodation (on a twin-sharing basis) on the indicated meal plan for 5 nights.